As we head into the final weeks of the year, please note the very important dates for upcoming events. If you are returning to Prep for the 2018-2019 school year, please stay tuned for an important email about health forms heading to you tomorrow. The Detoy Award annually celebrates the accomplishments of a distinguished member of the faculty, administration or staff for outstanding personal and professional contributions to the school. Employees with five years service to the school are eligible. Awardees receive $5,000 and are honored publicly. Recent winners include: Joe Maggio (2017), Raj Wahi (2016), Madeline Barraclough (2015) and Mary Ellen Jamison (2014). Any teacher, administrator, staff member, current parent, student or alumnus may submit a nomination to the Awards Committee. The signed nomination should be at least one full paragraph explaining the unique qualities and contributions of the candidate. All nominations should be considered confidential. Please submit your nomination by April 27, 2018, by emailing your nomination to Peter Bachmann or by dropping it by his office. If you have any questions, please call Margie Woolley at 818.949.5513. Advanced Placement exams are Monday, May 7 through Friday, May 18. There are exams at 8:00 am and 12:30 pm. Students need to be in their testing locations promptly at 7:45 am or 12:15 pm (with the exception of Spanish Language, which will convene at 7:30 am on Tuesday, May 8). Tests will begin on time. Students arriving late will not be admitted into the testing rooms. Students who have morning APs are excused from classes the afternoon of the day before their test date, but they must return to class the afternoon after the exam. Students will be notified of their exam room assignments via email, and the roster will be posted in the library and outside of the college counseling office. Please call Midge Kimble at 818.949.5540 if your child is ill during finals and unable to take the exam(s). Mrs. Kimble will reschedule the test. 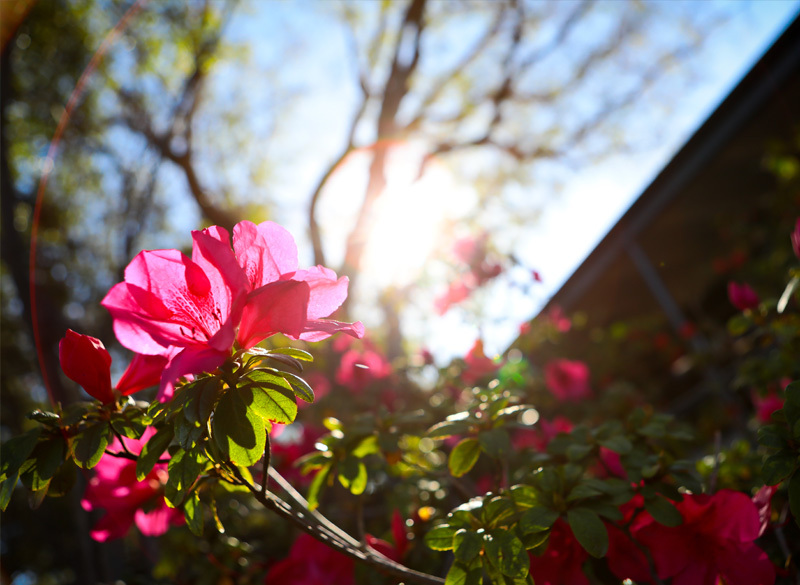 The Chandramohan Library will close at noon during finals, except for Friday, May 25, when it closes at 10:30 am. Online registration is underway for the 2018 Summer Session as well as for our Parents and Alumni Summer Session. Register early to get the classes you want! The Annual Fund closes on June 30. Special thanks to Christine Son, Sean Stellar and the grade level chairs for their hard work on behalf the school. We thank the 80% of parents who have already contributed and urge the remaining 20% to participate in our fundraising efforts. Please email Donna Merchant or call at 818.949.5525 with your commitment or questions. Visit flintridgeprep.org/support to make a contribution. For reference, here is next year’s basic calendar. Please remind your graduating senior, and any Prep alumni in college, that they are eligible to sign up for the Fathers Club Internship Program. Summer internships and shorter experiences called career windows are open to Prep grads in a wide variety of fields such as engineering, entertainment, biology, finance and art. Younger graduates can be placed in short-term career windows for a glimpse into the working world, while alumni with a few years of college have a broad variety of long- and short-form internships (paid and unpaid, in LA and around the country) to choose from. Prep parents are eager to help Prep grads with making strides in their careers, so urge your kids to take advantage of this terrific program. Share this link so they can get started! For more information, contact David Hitchcock (parent of Katherine Maschka Hitchcock ’18). On Monday, April 30, the Fathers Club and Presenting Sponsor La Cañada Flintridge Country Club will host the Golf Tournament, Silent Auction and Dinner. As in prior years, the net proceeds help fund the Flintridge Prep John Plumb ’64 Endowment Fund, which supports Prep faculty development programs. A special thanks to Todd Walklett, John Brown, the golf team and all the volunteer dads and staff members who are assisting in the planning of the annual event. Last chance to purchase golf, dinner and entertainment event tickets! On May 4 and 5, the Performing Arts Department will present the Spring Dance Concert, "Game Night.” Featuring our senior dancers, the show follows three friends as they get caught up in a magical world of games. The performances will include the Middle School Dance Company, 8th Grade Dance, Dance I, Dance II, Dance III, Dance Company, Hip Hop Club, Contemporary Club and selected auditioned pieces. Both shows begin at 7:00 pm, and admission is free. On May 15 at 5:00 pm, the Fathers Club will host the annual Sports Awards BBQ. All Prep families are welcome to join the springtime gathering in Ahmanson Plaza. Mark your calendars! The Arts Celebration will be May 16 at 5:00 pm, with many wonderful events—and all of them are free! We’re thrilled to celebrate Commencement weekend with the Class of 2018. You can find information about all the activities, dates, times, attire and other details at flintridgeprep.org/commencement. 8th Grade Promotion and Middle School Awards will be on May 29 at 5:00 pm in Norris Auditorium. The event is mandatory for all 7th and 8th grade students. Family and friends are invited to attend the event. Following the ceremony, 8th graders and their families are invited to dinner at La Cañada Flintridge Country Club. Invitations will go out soon. For more information, please call Midge Kimble at 818.949.5540. After many campus tours, presentations, interviews, shadow visits and a full and busy Open House, the admissions season has concluded with much to celebrate. Flintridge has another wonderful group of students signed up to join our community in the fall. We received applications from 62 towns and 8 states. Both the 7th and 9th grade yields were somewhat higher than anticipated, so Admissions does not expect to go to our wait list at this point. The athletic program recently recognized eight seniors who will participate in intercollegiate athletics: Brett Bell-NYU Swimming, Sophie Gitlin-Claremont McKenna Cross Country/Track and Field, Julia Gonzalez-Quijano UC Irvine Soccer, Crystal Juan-Scripps Tennis, Evan Pattinelli-Yale Cross Country/Track and Field, Aidan Schraeder-Bowdoin Baseball, Tim Treinen-Johns Hopkins Soccer and Lindsey Uteda-Pitzer Soccer. Congratulations to these fine student athletes! Congratulations also to three CIF Academic Award Championship Teams: boys swimming, boys tennis and boys water polo! Each of these teams had the highest average GPA for schools with less than 1500 students. Notable honors: 2nd place boys basketball; 3rd place baseball, boys cross country, football, boys volleyball, girls water polo; 4th place girls swimming, boys track and field. Boys volleyball is unscathed in League play (4-0, 14-1 overall) and ranked CIF D3. The baseball and softball teams are striving for a CIF berth. The chance of a repeat League title for boys swimming looks strong, and girls swimming has high hopes for CIF qualifying times. Golf captain Jonah Sacks ’19 is a CIF hopeful once again. The tennis team had a decent pre-season and looks to be a strong contender in the Prep League. In track and field, Sasha Codiga ’19 has already set 2 school records, the 800m and the 1500m. Evan Pattinelli ’18 looks ready to defend his CIF title in the 3200m run. Caitlin Fong ’19 and all the ACL members would like to thank everyone for participating and supporting the 2nd Annual La Mascota 5K. All benefits will help to support the children and families in the only pediatric cancer hospital of Nicaragua. Applications to join ACL for the 2018-2019 school year will be available starting this week and ending on April 26. Applications can be picked up during lunch in the lunch area or at Mr. Rivera’s office. Seniors and their parents are cordially invited to Senior Celebration on Tuesday, May 1 at 6:30 pm in Norris Auditorium. After the pinning ceremony, Scott Myers will meet with the seniors and the celebration will continue for students in the gym with a photo booth, a taco truck and a DJ. Parents, we invite you to a wine and cheese reception in the library. Seniors who have received merit scholarships from the college to which they are attending and would like the scholarships announced at Commencement should email Amanda Lem. Juniors: Counselors have begun second meetings with students to debrief college research lists. The registration for the two-day College Boot Camp for rising seniors on June 4 and 5 is now open. The Boot Camp program is free of charge. If you have any questions, contact Amanda Lem. An email has been sent with the registration link. The Prep Community Speaker Series finished this month, hosting almost 300 parents at an informative evening with Susan Stiffelman, MFT, followed by a festive reception. Congratulations to co-chairs Kirstin Harbers and Laura Campobasso for leading the series this year. Please take the Speaker Series Survey that was emailed out this month to help us evaluate the year or click here: https://www.surveymonkey.com/r/prepspeakers The deadline for responses is Thursday, April 26. Thank you to Kandis Jaffrey and Orsi Crawford for assisting with Grandparents Day. And thanks in advance to our many volunteers who will step up to help with all the events that occur this time of year as we celebrate our community, students and faculty. On Saturday, April 28, the Flintridge Singers and the 8th Grade Girls Chorus will participate in "The Friendship Concert-Unity in Diversity," featuring notable youth groups from the Greater Los Angeles Area commemorating the 26th Anniversary of the LA Riots. The performance is at Aratani Theatre. For more info, visit "The Artists' Platform" at www.tap.place or contact Mr. Hill. I look forward to seeing you throughout the spring.